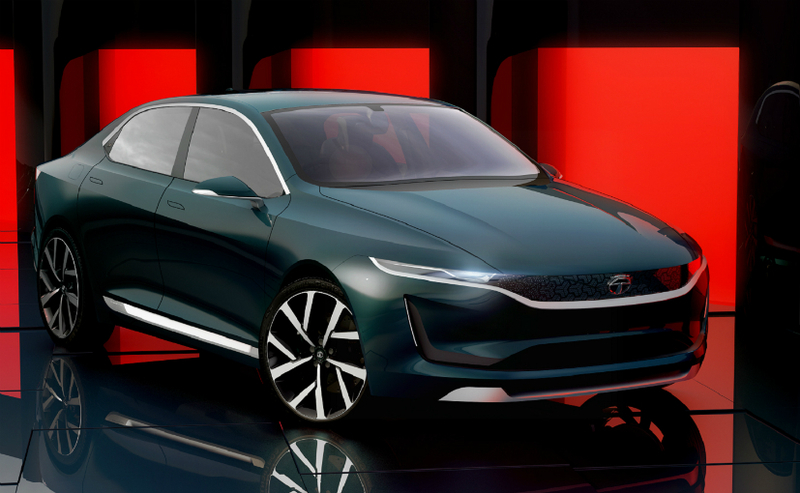 Tata showcased its Evision Electric sedan concept in Geneva 2018 motor show. This new sedan is based on Omega platform, one of the new platform Tata motors are using to move forward. Tata H5X SUV concept is also based on Omega platform which was showcased in Delhi Auto Expo 2018. Tata H5X SUV and 45X was also displayed in Geneva 2018 motor show. Omega platform is EV platform unlike Alfa platform, which we use to found in other Tata cars like Tiago, Tigor, Nexon, Hexa. 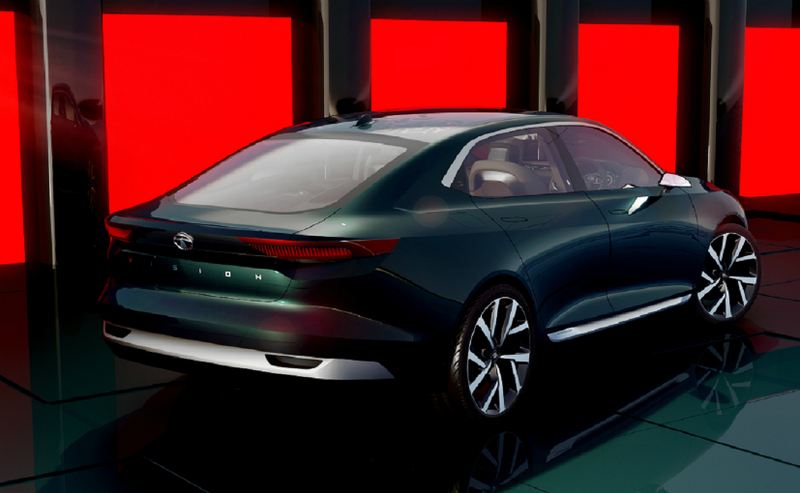 The E Vision Sedan Concept’s front profile looks very similar the 45X premium hatchback concept but features a larger grille compared to the hatchback. The Tata E Vision Sedan Concept features 21-inch alloy wheels, flush-fitting door handles and chiselled Outside Rear View Mirrors (ORVMs). The car looks beautiful you can notice the muscular stance of the car. The doors have flush mounted door handles and no pillars. Those large wheels really brings out the beauty in this car. Up front the LED headlamps are slim and sharply designed with the slim grille which has been a predominant design element in all recent Tata Motors concept cars. The similar designed has been carried to the rear end of the car. Roofline is sculpted well which gives the car a coupe like look with four door. Tata is focused on Electric car mission of 2030 and has been displaying E-vehciles in Geneva auto show like the Aria, Nano, Nano Pixel and Mega Pixel and of course the Tamo Racemo. We are expecting more from other Car makers to project their E-vehicles. Stay tuned we will update more on the Evision as we get information.